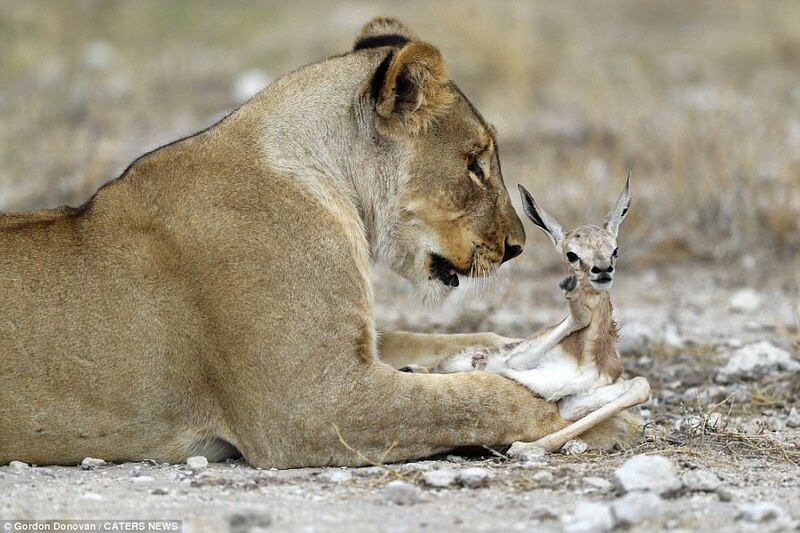 Don’t worry, deer… I won’t bite! 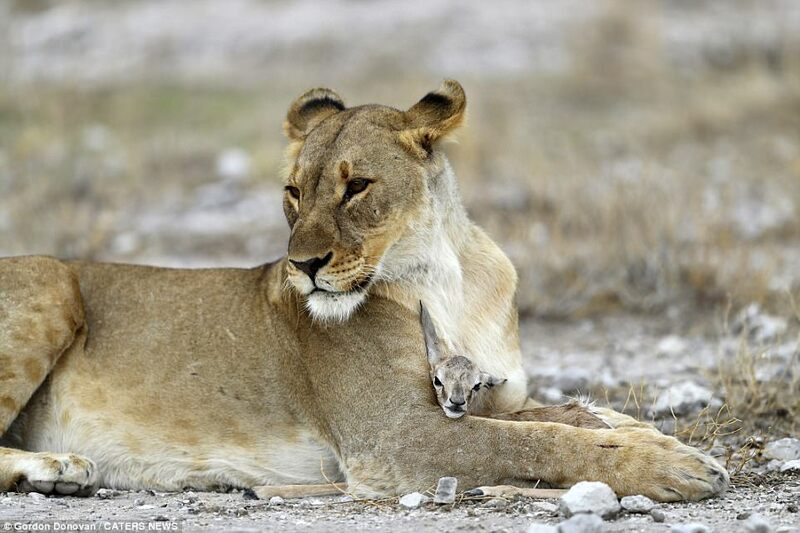 You might be forgiven for thinking this lioness is just playing with her food. 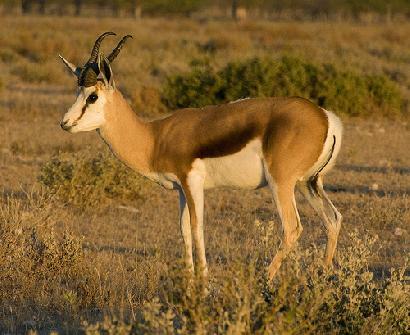 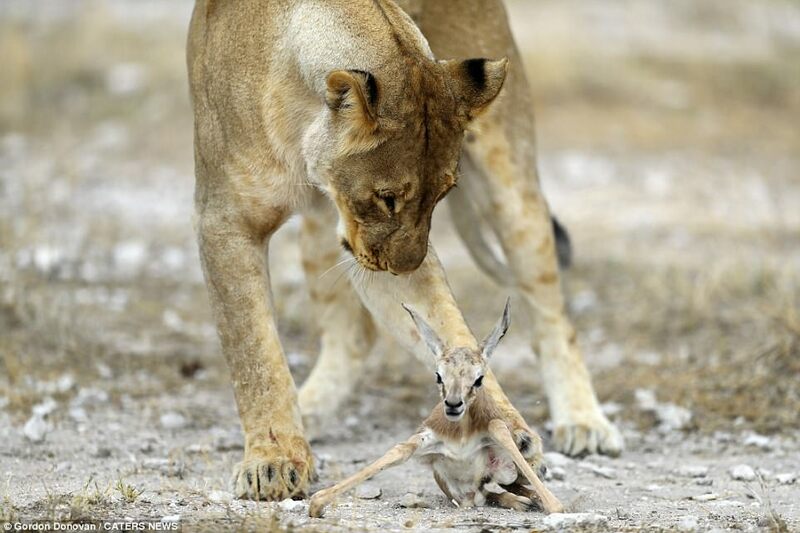 But these remarkable photographs capture the powerful beast caring for a young springbok as if it were her own offspring. 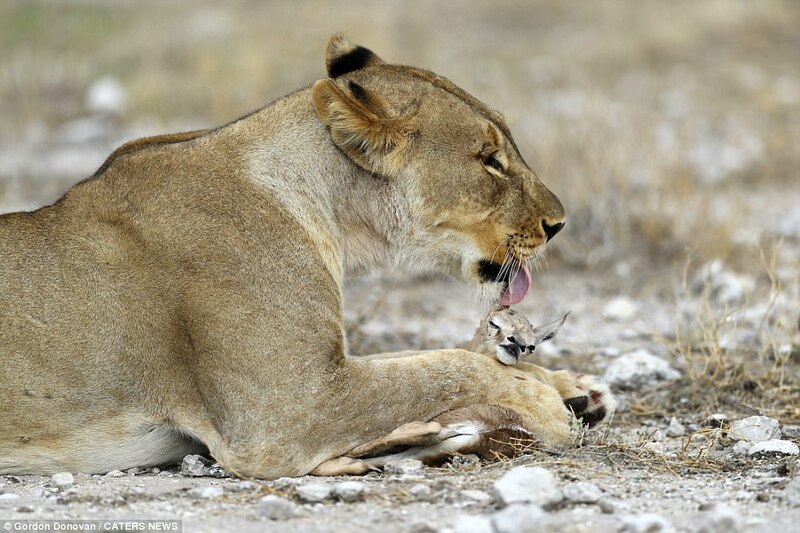 by a rival male lion.